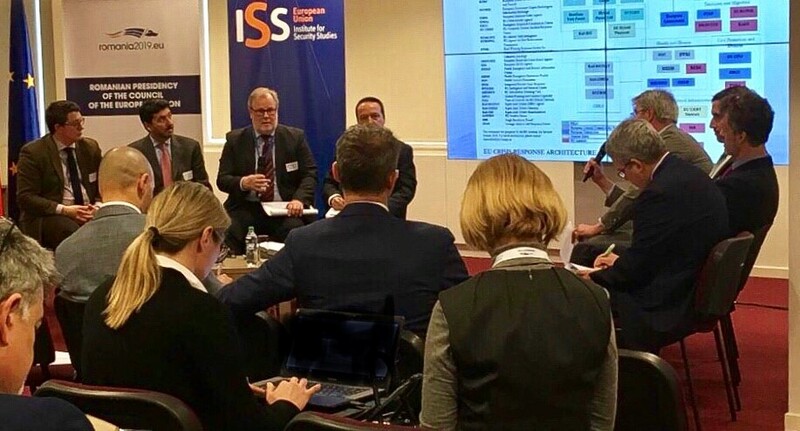 On Monday 14 May, the EUISS hosted the event 'The future of EU foreign, security and defence policy post Brexit'. 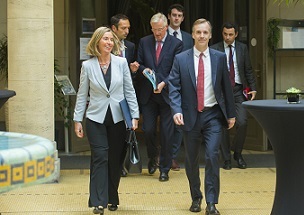 EUISS Director Gustav Lindstrom moderated discussions on the subject between Ms Federica Mogherini, EU High Representative for Foreign Affairs and Security Policy and Vice-President of the European Commission, and Mr Michel Barnier, the EU Chief Negotiator on Art. 50 TEU Negotiations with the United Kingdom. Addressing some 160 participants, consisting largely of ambassadors, experts and journalists, HR/VP Mogherini and Mr Barnier stressed that it is impossible to separate the security and defence interests and policies of the EU and the UK, and that the clear interests of respective governments and peoples pointed to strong cooperation in the future. The full remarks by HR/VP Mogherini can be found here. The full speech by Mr Barnier can be found here.